These are 900mAh eGo-T batteries equipped with on-off protection. 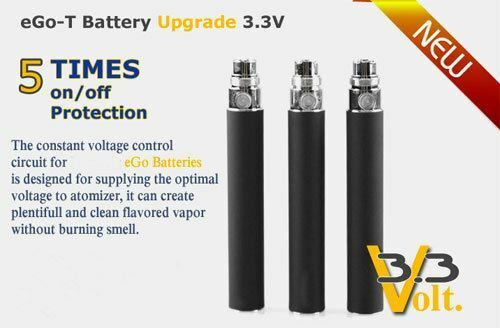 They Can be fully charged from empty in 2.5 hours using a eGo-T fast USB charger, and can provide a heavy user with more than hours of vaping pleasure!!! Our eGo-T batteries will give you around approx 700 charges, that’s an incredible 5,000 hours of vaping!